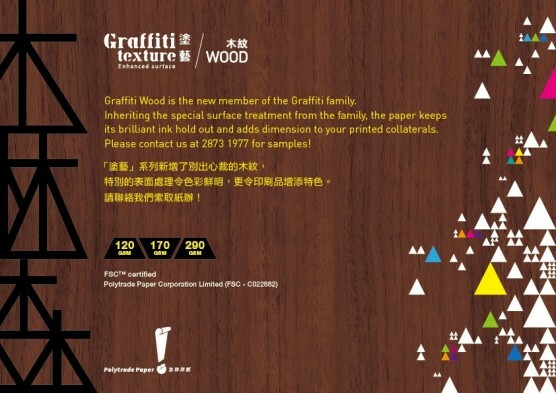 Add texture to your work with the NEW Graffiti Wood! Graffiti Wood is the new member of the Graffiti family. Inheriting the special surface treatment from the family, the paper keeps its brilliant ink hold out and adds dimension to your printed collaterals.